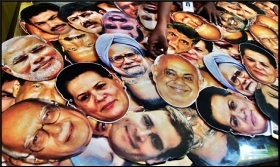 With less than a week left for the Lok Sabha elections, our political parties are gearing up for an intense electoral battle. The ruling party has, in its manifesto, promised, among others, a major infrastructure push that would not only ensure efficiency in the economy, but would also lead to creation of a large number of jobs. The largest opposition party, on the other hand, has promised to restart the economy, by removing unemployment and farmer distress. All these sound good. But the road ahead looks a bit rocky, according to some experts. They point to some recent macroeconomic indicators, which signal that the Indian economy may in fact be moving towards a slowdown. According to a former Chief Statistician, demonetisation and GST roll-out had hit the non-corporate sector hard, and now that is what is showing. The argument cannot be ignored, particularly when we look at the recent macroeconomic readings on auto sales, direct tax collection and household savings. First, according to RBI data, India's household savings as a proportion of GDP declined to 17.2% in 2017-18. This is the lowest rate since 1997-98, and a big concern as falling household savings act as a serious constraint to investment. Second, direct tax collections have not been as per the target. Reported on April 1, it fell short by Rs 50,000 crore thereby failing to meet the revised target of Rs 12 lakh crore for 2018-19 fiscal. Third, sales of passenger vehicles in the domestic market declined by 2.96% on a year-on-year basis in March. The above indicators are not pointing to an imminent economic slowdown, but they cannot and shouldn’t be ignored as well. Particularly, if by any chance there is a hung parliament after the elections, it will take a heavy toll on the economy. Additionally, we are yet to get to the end of the bank NPA crisis. In this scenario, it will be interesting to see how the results of the upcoming Lok Sabha elections will pan out.